Yes, that's a pie crust. Cherry blossom season is one of Japan’s most celebrated annual events, with trees in bloom and sakura flavor popping up in everything from Kit Kats to Krispy Kreme. This year, Starbucks Japan is celebrating the fruits of those blossoms in a uniquely American-themed way, with an American Cherry Pie Frappuccino. According to the (Google translated) press release, the creamy vanilla base is layered with a sweet and tart American-style pie filling, going for the a la mode flavor profile. That sounds good enough on its own, but the best touch is yet to come. The domed, whipped cream-accommodating plastic lid you’re used to seeing is being replaced with a pie crust. Yes, a hemisphere of flaky pastry full of whipped topping, which you stab with your straw to break up into the drink. 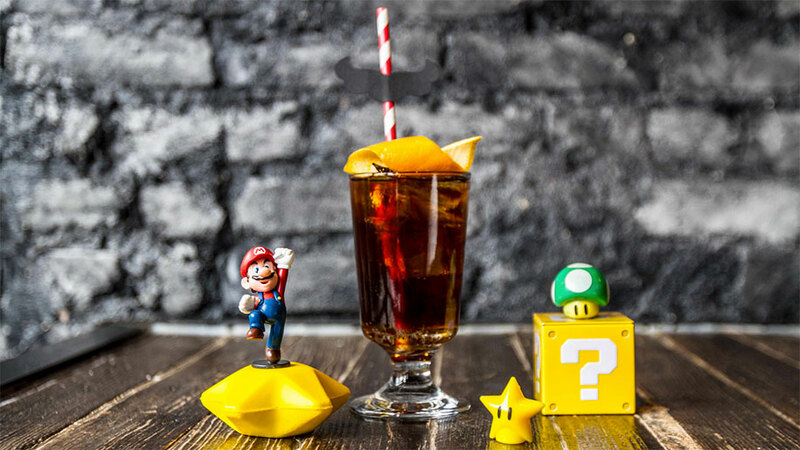 The announcement describes it as (again, via Google translation) a drink you can enjoy “as if you are eating a pie with a fork.” It’s only available in the Tall size, which is probably a good thing. A Trenta would likely be tantamount to eating an entire pie. 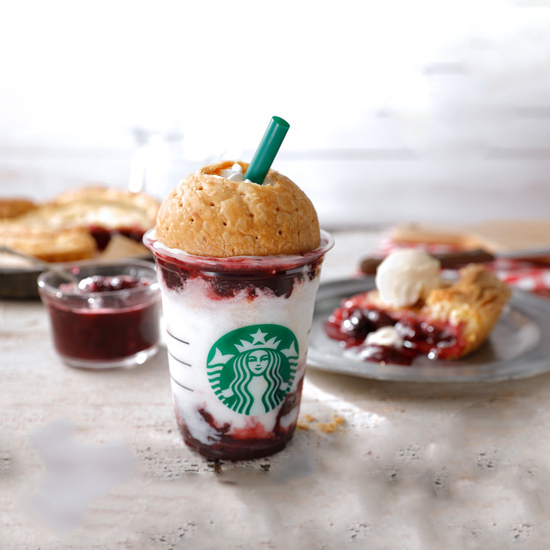 The cherry pie beverage is the first of Starbucks Japan’s “Starbucks Summer Festival 2017” promotions, which will also include a Classic Tea Cream Frappuccino that blends Earl Grey, Ceylon and red teas into a cold, blended treat. It’s not the first time Starbucks Japan has turned to American flavors for inspiration (and, in turn, Starbucks America has ignored how much we’d like to try these things, too). Last winter, stores in Japan also offered a Hot Baked Apple Pie latte. They also have a pre-packaged S’mores latte available in convenience stores, which is touted as an American and Canadian dessert item. The American Cherry Pie Frappuccino will be available in Japan’s Starbucks stores nationwide for a limited time only, from April 13th to May 16th.